The king of the Garden Tractors. From overgrown grass to removing snow in the winter, the X700’s is ruggedly built to handle everything on a large property owner’s to-do list. 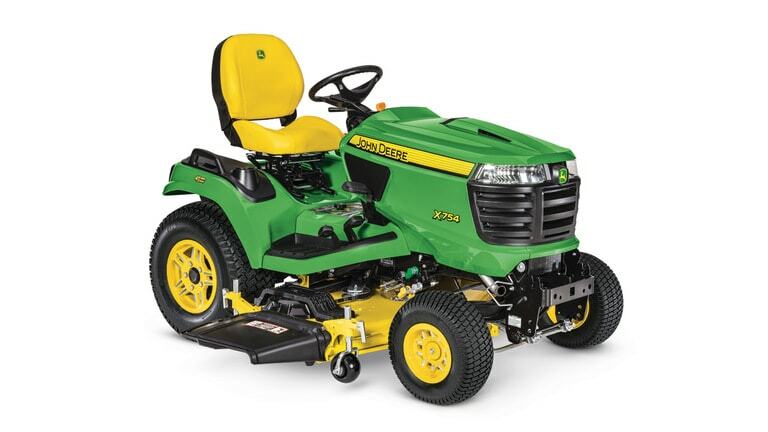 These garden tractors are uniquely designed to reduce operator fatigue by offering excellent maneuverability and comfort features for all-day productivity. 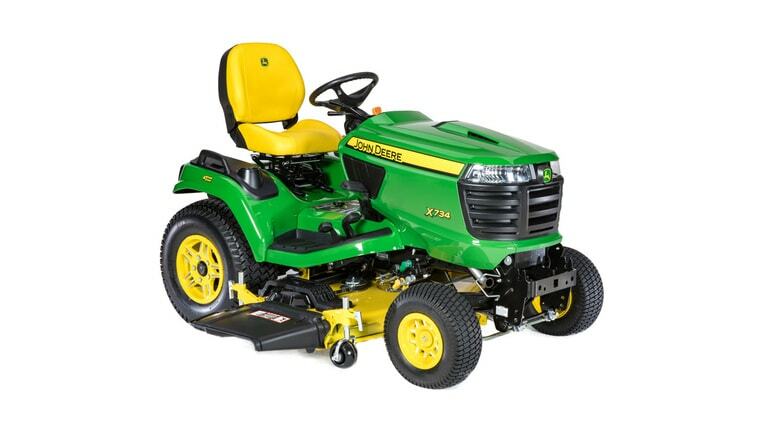 Allows for quick and easy installation and removal of the mower deck. This feature is useful when you need to access the deck for regular maintenance or alternative tasks. Simply unhook the deck from the tractor and drive over it to remove. The Optional Auto-Connect™ PTO automatically attaches and detaches the PTO shaft when removing or installing the deck. 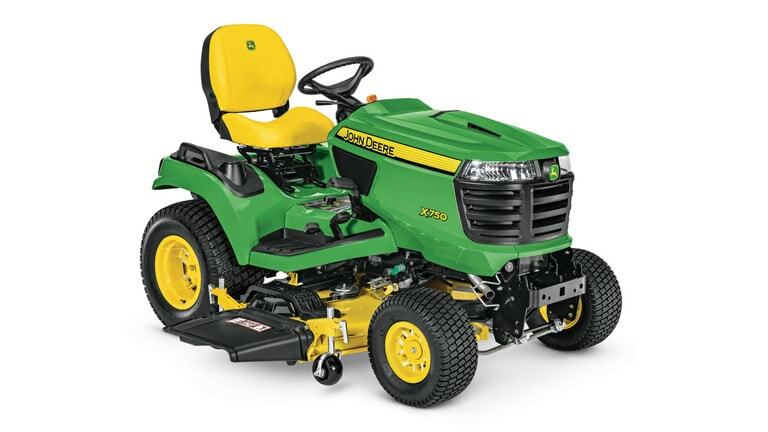 Built with 9-gauge steel and heavy-duty greaseable spindles these commercial grade 5 ½ -inch Deep Decks deliver excellent airflow and superior cut quality. The extra-wide discharge prevents clumping and provides for an even clipping dispersal. Enjoy greater ease-of-use while operating implements & attachments. with standard hydraulic controls. Examples of hydraulic functions are adjusting the angle on snow blades or brooms; or controlling the chute direction on a snow blower. These tractors offer a wide variety of front and rear implements including tillers, snow blades, snowblowers, rotary brooms, baggers, sprayers, spreaders, utility carts, rollers, 3-pt implements (with optional 3pt hitch attachment), and more. Remain comfortable while operating for extended periods of time with an adjustable 2-piece 21-inch high-back seat and tilt steering wheel. Adjustable seat suspension allows for a smooth ride that will keep you productive all day long. 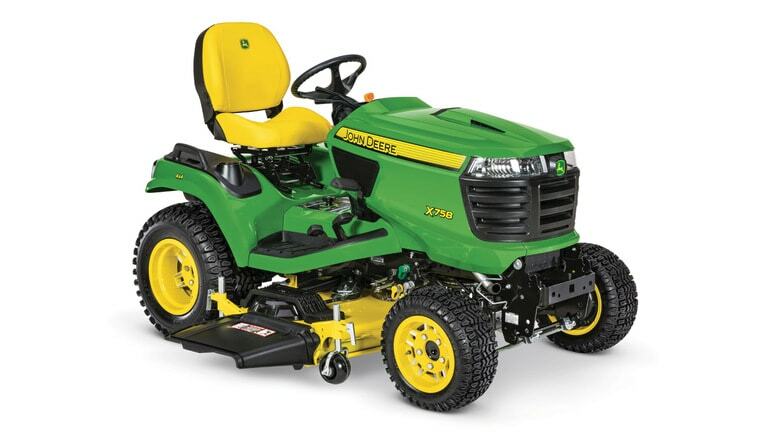 The Signature Series garden tractors offer multiple configurations for to accommodate to your property needs. Four-wheel drive for excellent traction in any application or ground condition. Available on X738 and X758 models. Four-wheel steering for a tight turn radius and trimming power. Available on X734, X739, and X754 models. Full-time four-wheel drive AND four-wheel steering for unsurpassed traction, maneuverability, and trimming ability. What’s the difference between 4-Wheel-Drive and 4-Wheel Steer? 4WD or All Wheel Drive means the engine’s power is dispersed to all four tires at the same time, giving you maximum power on challenging terrain. 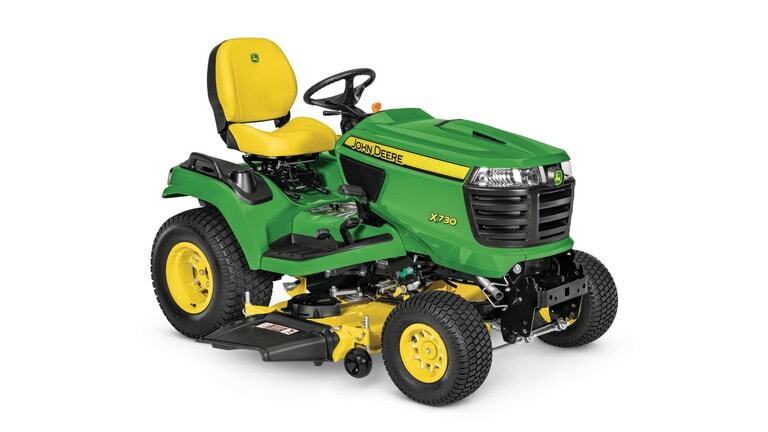 4WS uses both front and rear tires to help steer the lawn tractor. This allows for tighter turning radiuses and eliminates the need to reverse when cutting. 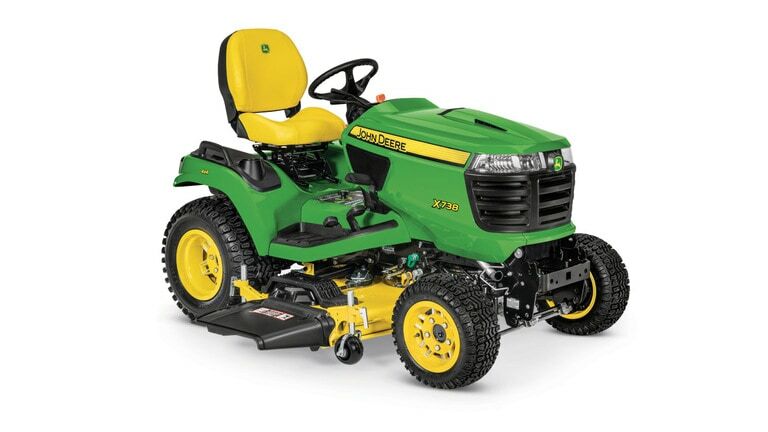 Each new X700 Signature Series garden tractor is backed by a 4 year/700 hour bumper-to-bumper warranty*.